Amaya’s PokerStarts and Full Tilt have been awarded with continuation licensees by the UKGC (The United Kingdom Gambling Commission). These well-known poker platforms will continue to offer their business customers and individual players online poker rooms. The original licenses have been granted in the Isle of Man. The continued license allows sites to act not only as poker, but also as sporting gambling platforms. Bet-at-home, Amaya, Gamblit Gaming and Full Tilt UK are now officially operating as online sportbooking sites and official gambling platforms in the UK. Bet-at-home, however, did not get a continuation for their poker license. However, the company has published an announcement on their website, informing the customers that obtaining the poker license will be their following step “in terms of legal certainty” in the EU. After receiving the permit from UKGC, Gamblit Gambling, founded in California, is confidently entering the European gambling market. The company is well-known for their video games and real-money betting services. The main office is located in Alderney. Yet, with the approval of the company by UKGC, one can soon expect the foundation of new branches. According to CEO Eric Meyerhofer, Gamblit Gambling CEO, the company has been working hard on the development of engaging interactive video games, and they are now willing to apply their knowledge and expertise to the UK and European market. 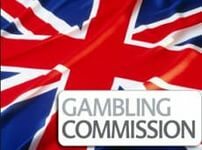 In addition, it is important to note that UKGC issued a warning against operating without a sport gambling license. The Commission spent a great deal of time sending out warning letters to various sites, operating without an appropriate permit. According to the UK legislation, only authorized bookmakers, sites, and companies are allowed to display gambling advertisements for the upcoming sporting events. UKGC pays its particular attention to organizations, advertising their services illegally and reminds them of section 330 of the Act for the offense of unlawful advertising. In other words, websites providing links to unlicensed bookmakers, are punishable under UK law. Even though UKGC realizes that the implementation of their restrictions may have some technical difficulties, the Commission points out that it is essential for the relevant sports bodies (club, etc.) to ensure legal and transparent collaboration with the licensed sporting bookmakers in the nearest future.